Thanks to all who continue to visit onpolishmusic! If you’ve been wondering why the site has been silent since December 2013 it’s because I have been otherwise preoccupied with planning and then pursuing a four-month walk through France. Now I am back, and new Polish posts and pages are in the offing. As ever, if you have any suggestions for improving the site and its contents, I’ll be delighted to receive them. Happy reading! Which author links the three composers Tomasz Sikorski, Lidia Zielińska and Agata Zubel? I have a copy of Zubel’s new CD for the first person who can identify him/her and can name one work by each of these three composers that has a connection with this well-known writer. Answers please via the CONTACT page. I’ll post the solution below once the first correct answer comes in. The prize was claimed within an hour of posting (see Comments, below)! One Response to • ‘onpolishmusic’ is back! Well, barely an hour had gone by and the first – and correct – answer came through. 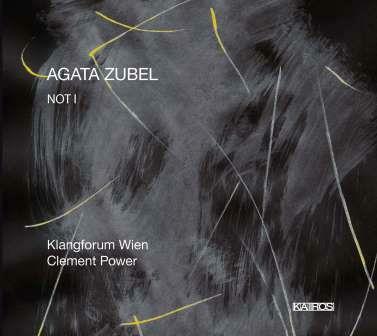 So, William in Australia, Agata Zubel’s new CD on the Kairos label will be winging its way to you next week! The answer is: Samuel Beckett. Tomasz Sikorski’s composition is ‘W dali ptak’ (Afar a Bird, 1981). Lidia Zielińska has more than one work drawing on Beckett – Eh Joe (1978) and Cascando (1983) – and so too has Zubel. She also has written a work entitled ‘Cascando’ (2007) as well as ‘What is the word’ (2012). Her new CD – on which she sings in three of the four tracks – is titled ‘Not I’ (2010) after Beckett’s famous monologue. This piece has garnered praise and prizes since its premiere in 2012, not least the 60th UNESCO International Composers’ Rostrum in 2013.